THANK YOU for helping me clear out my studio and raise money for the Mental Health Association of Essex and Morris! Meet me in my studio . . . 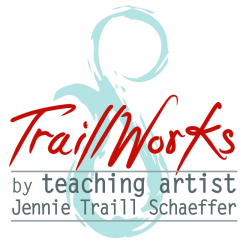 Deemed the Kitchen Gods Artist, Jennie Traill Schaeffer is a professional visual artist and art teacher, living and working in her West Orange, Essex County, NJ, home studio, TraillWorks: Studio on the 3rd Floor. She is drawn to paint subjects that come from the domestic realm, exploring their relationship to her own life. 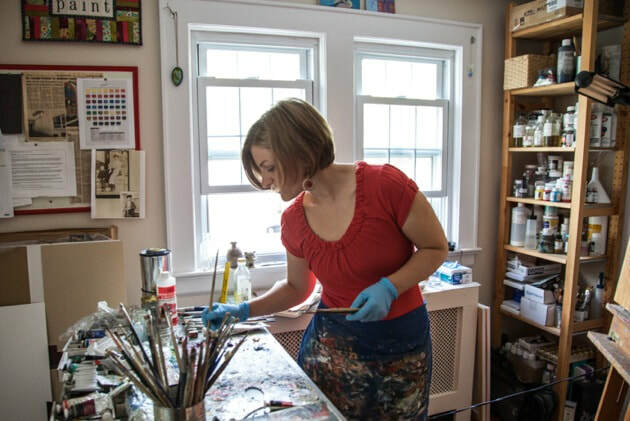 Playing with paint, inks, or drawing media, she strives to exude an energy in her art featuring kitchen appliances, aprons, landscapes, and portraits. Follow my process on Instagram.